Kitchen - Fully equiped. Seating 4 to 6 people. 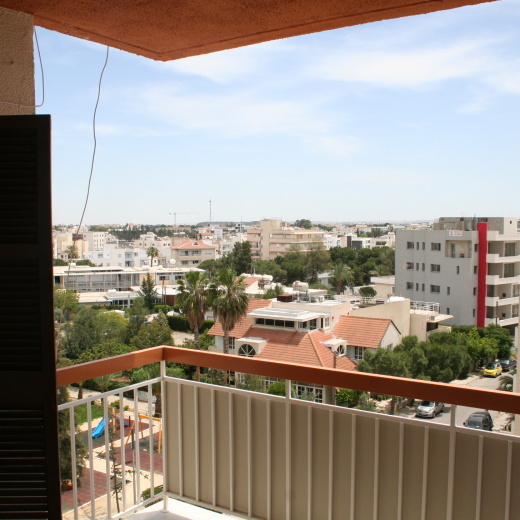 A bright and airy two bedroom flat, centrally located with views over Nicosia. Comfortably fits five. 15 minutes by bus or car from Cyprus Mall or Town Centre. Large living and dining room TV and Wifi. Fully fitted kitchen, bathroom. A/C and Heating. Children friendly. The flat is very bright and airy with views across the town. Floors are parquet and ceramic tile. Lots of reading books for all ages. Sleeping upto 5. Baby cot provided. Large and spacious kitchen. Kitchen seating 6 people. Dining Room table seating 8. 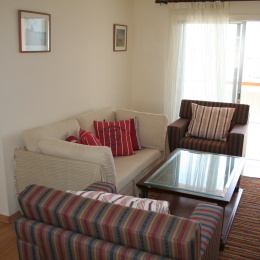 Guests have access to free Wifi and Cable TV. Free Covered Car Parking. Passenger lift. Bathroom is fully renovated with full size bathtub. Fully Air/Conditioned. Heating for cold months. Baby cot is provided, as is Iron and Ironing board. The kitchen is fully equipped. Washing machine is provided. We interact with guests from the initial booking and assist with any information required on the flat, the area, things to do and see in Nicosia. We provide Cyprus Tourism Office guides and maps on Nicosia and the rest of Cyprus. There menus from many of the neighborhood restaurants, coffee shops and take away places. Leafy neighborhood, peaceful, with a childrens' park. Zorba Bakery Mini Market close by. There is a newsagent with international magazines and newspapers. Toronto Pizza makes great pizza for the kids. There are coffee shops and ice cream shops to sit down and relax. Very Central location. 15 Minutes from Town Centre and Old Walls by car and same time to reach the Cyprus Mall and Ikea with their many coffee shops, restaurants and high street shops like Debenhams. 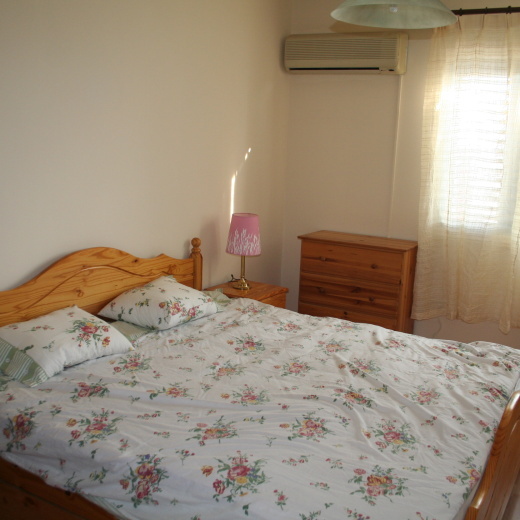 Also we are 15 minutes walk from the Archbishop Makarios Avenue with many bus links. The Shuttle to Larnaca Airport stops a little further up the Avenue.